and studied at the Academie des Beaux Arts in Paris. He was married for many happy years to Madame Chi Chi, an American who had a gallery in lower Petionville. Her life was devoted to promoting his work. Madame ChiChi died a few years ago and she is sadly missed. Paintings by Louissaint are scarce. The one below is a nice one. It was purchased in Galerie ChiChi. 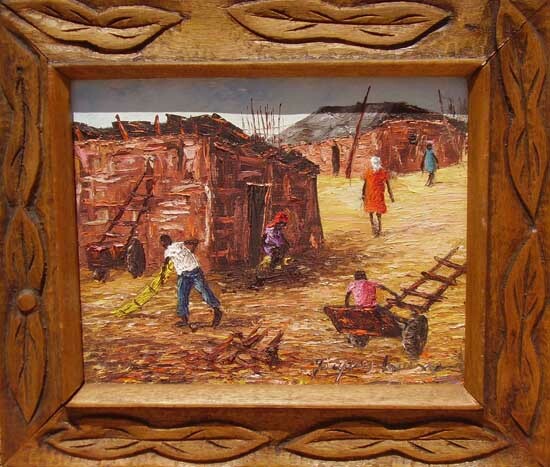 "na Vil "c. 1979's $1000 in carved Haitian frame.